Want to know the way of removing watermark from PDF files in batches in Windows systems of both 32 bits and 64 bits right now? Then please do not go away and keep reading this article little by little. In this article, our main tool is VeryPDF PDF Text Replacer, which is a powerful Windows application that helps you remove watermark from PDF files singly or in batches with various ways accurately and smoothly within several mins only! 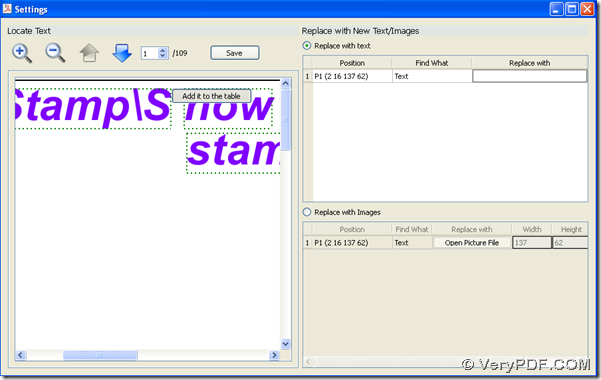 For more details of VeryPDF PDF Text Replacer, please download trial version VeryPDF PDF Text Replacer to learn the general steps to remove watermark from PDF files here. By the way, for your convenience of knowing more useful software with multiple functions here, please go to official website of VeryPDF. Drag PDF files of one folder and drop PDF files into processing table directly. 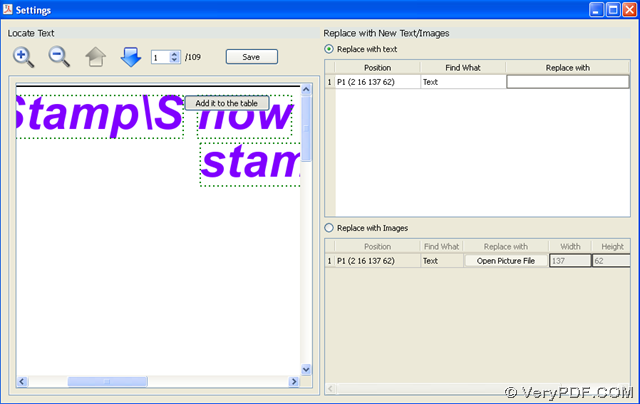 Please click on GUI interface > on GUI interface > on GUI interface, then you need to type what you want to remove from added PDF files in batches in edit box Find What and input nothing in edit box Replace with. where you need to click radio Replace with text > click on content of watermark in preview panel > click Add it to the table, so what you select just now about content of watermark could be shown in the related form automatically. After you add all of what you want to remove based on location one by one, please click Save on setting panel in order to go back to GUI interface again. Step4. 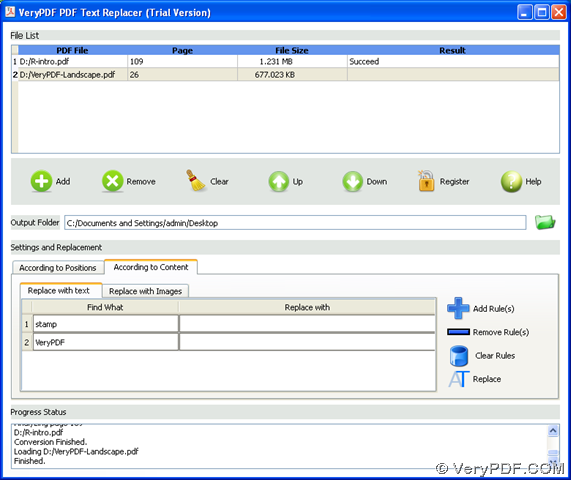 Please click Replace on GUI interface in order to remove watermark from PDF files in batches with VeryPDF PDF Text Replacer. In the end, for more doubts on how to remove watermark from PDF files singly or in batches, please drop your comments here, or contact support team at once. This entry was posted in PDF Text Replacer and tagged in batches. Bookmark the permalink.